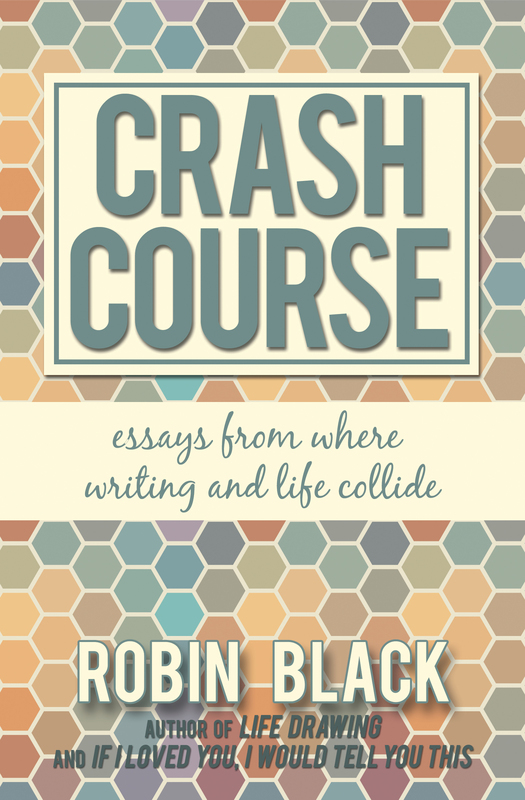 Robin Black’s Crash Course is a collection of short essays on writing that sets itself apart from other such books by embracing fully, as a subject matter, the anxieties that set in once one has undertaken a writing life. It isn’t about the finer points of craft so much as it is about how bruising it can be to be a writer, what it does to us to take this seriously and how we might go about weathering the damage. Some of the difficulties Black addresses are common—such as the problem of being repeatedly rejected not only by literary magazines but by summer writing conferences—while others are more specific to her, such as the problem of declining to write for many years despite the desire to do it, finally taking up the task once she was well into raising a family; and that of having a daughter with what Black refers to as “language-based disabilities” that make reading difficult for her. It is refreshing to read a book about writing that spends much of its time admitting the problems its author has faced when writing. In the essay “Shut Up, Shut Down,” Black attends to the difficulty of carrying on as a writer in the face of criticism that isn’t merely harsh but personal. “The state,” she writes, “in which many of us do our work is one of constant, internal battle between the silencing voices and the need to be heard over them. So the nastiest reviews, the most personal of them, the ones that demean our characters as they insult our work, are all too likely to find an echo, albeit an ancient one, within our hearts.” Black’s essays are in part about the things that threaten to stop us from writing, the hindrances we face throughout our writing lives, as she often seeks to dissect just what it is about these hindrances that gives them their power over us. those tolerable if unpleasant rejections [of written work from literary magazines] are very clearly rejections of my work. They mean that I won’t see a piece of mine in print…But they do not mean that people don’t want to spend ten days with me. They aren’t rejections of my company, not rejections likely to reverberate with memories of social exclusion, with lifelong fears of being disliked. Black has achieved quite a lot as a writer; she mentions having published a novel and short story collection. She has, though, gone through quite a lot on the way to that success. That she is open about what she’s gone through is to the great benefit of this book. 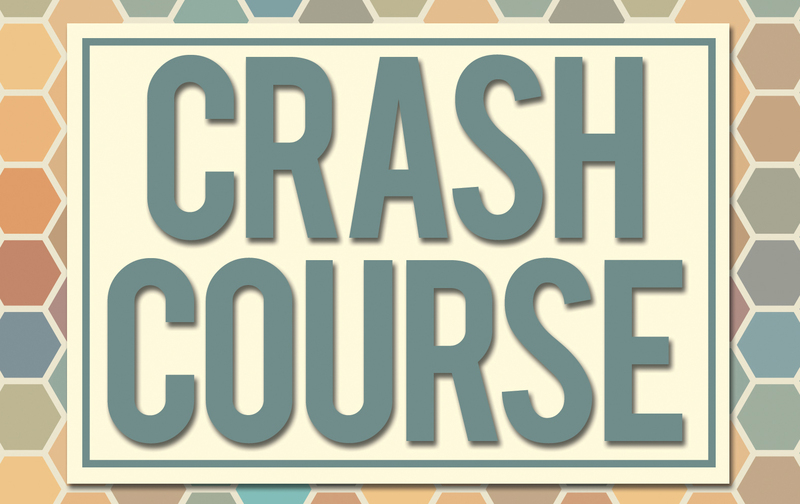 Crash Course is not exclusively about the problems attendant to writing; she also addresses the baffling tendency for men to not read books that are perceived as having been written for women, and the reader’s participation in making a text make meaning. The memorable essay “House Lessons II: To Renovate, to Revise,” is about the complications that arise when turning true stories into short stories, and the wealth of possibilities that lie in doing so. Regret is a funny thing. On one level, I do regret the many summers when I have stayed out of the competition, and therefore, maybe, also out of an important aspect of “the game.” But the problem with that particular regret is that while playing it safe in that way, I managed to emerge from the tiny private world in which I kept myself. I managed to put together a career as a writer…And so I wonder if this small, arguably symbolic act of self-protection wasn’t a necessary concession to the anxious, fearful part of myself. I find I am much less interested in this consolation than I am in the impetus for writing the essay, the unique sort of rejection that writing conferences have to offer; I want Black to plunge further into this subject, rather than back out. 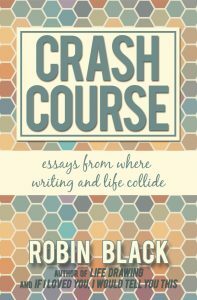 This was my consistent complaint with Crash Course; once I realized that most essays had a similar trajectory—raising a subject, dwelling on it briefly, and moving on—I was less inclined, as I read further, to grow invested in any individual essay, knowing how quickly Black was likely to end it and let the subject drop. I was won over by Black’s willingness to write vulnerably, and admit her writerly misgivings and shortcomings. We all need some of that from time to time, and I find I need a lot of it, often. I wanted also, though, more of the essays to go a few steps further than they do, and maybe a few more after that, to see what other significance she could find in the subjects she takes on. Robert Long Foreman’s fiction and nonfiction have appeared most recently in Copper Nickel, Shirley, River Teeth, Redivider, and The Collagist, among others. A collection of his essays, Among Other Things, is forthcoming from Pleiades Press, and he has written Weird Pig, an unpublished novel. He is Fiction Editor at The Cossack Review. Find him on Twitter at @robertlong4man.